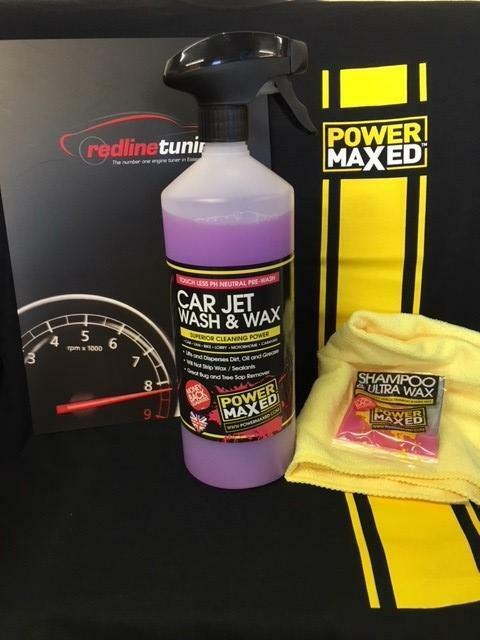 Power Maxed Jet Wash & Wax 1 Litre + Free Complimentary Micro fibre Cloth and Shampoo & Ultra Wax Sachet. Power Maxed Jet Wash and Wax contain foam boosters which gently and efficiently lift dirt and grease from your car surface. Just rinse and wipe to finish. Jet Wash and Wax cleaner is PH neutral and non caustic. It is fantastic at removing road salt and grit, bugs and tree sap as well as lifting and dispersing oil and grease. Can be used as touchless wash to help avoid micro scratching and can also be added to pressure washers.